When you create a report or analyze your marketing metrics, does it ever feel like you are reading another language? There are tons of terms to describe what you're looking at, and often, the terms sound very similar to each another. Never mind when you start using several different analytics platforms, you'll find different terms for the same metric. In the midst of analyzing your marketing, decoding the terminology you're coming across should be the last thing you spend energy on. So, we decided to put together a handy glossary of the most common marketing analytics terms you'll find in your analytics software. Check it out below, and be sure to bookmark this page for the next time you're diving into your analytics -- it could save you a lot of time. This is an Attribution Report model in HubSpot that gives equal weight to every URL or source someone visited before converting. An attribution model tells your analytics program how you want to weigh the importance of different touchpoints. For example, if you want every single page to be given equal weight (or credit) for the conversion, you will choose an All Interactions Model for HubSpot and a Linear Model for Google Analytics. If you want only the first page a visitor ever saw before they ultimately converted, you would choose a First Interaction (or First Touch) model. 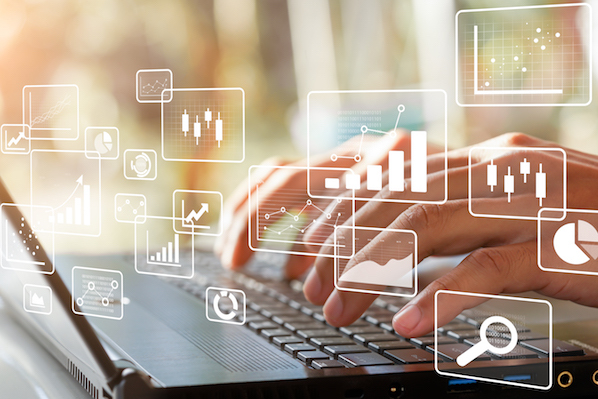 Attribution reports allow marketers to create advanced reports by URL, source, or referrer to better understand what marketing efforts lead to conversions throughout the funnel. 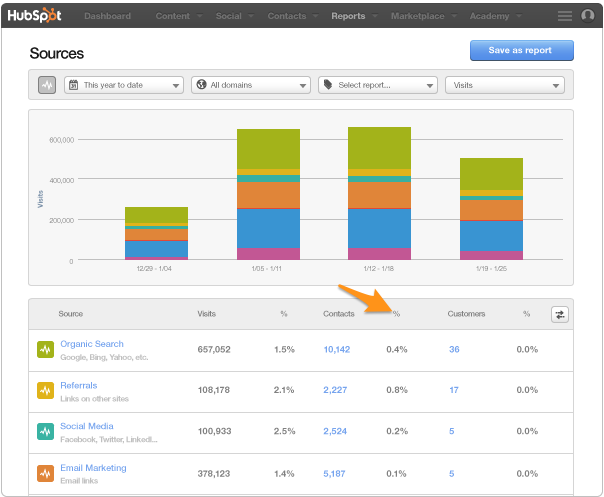 For more details on HubSpot's Attribution Reports, see this article. 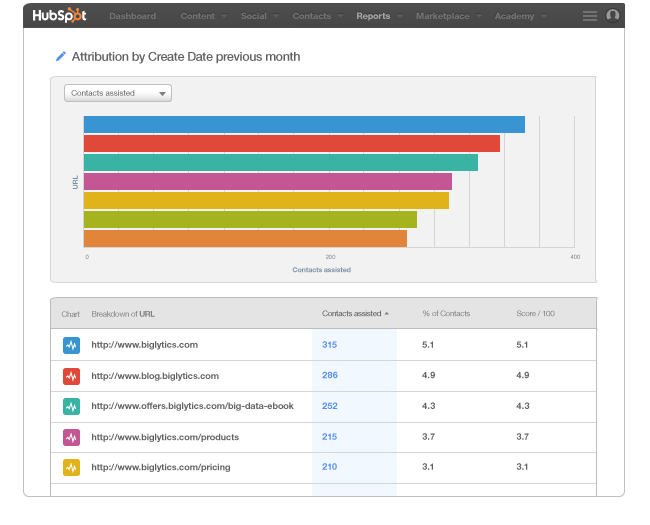 For more information on Google Analytics' Attribution models, see this article. The percentage of people who land on one of your web pages and then leave without clicking to anywhere else on your website -- in other words, single-page visitors. This metric is found in Google Analytics. This Google analytics feature allows you to group marketing activities together. Using the Acquisition Reports, by default, you can view and compare metrics by channel name, traffic source, medium, or campaign name. You also can set up custom channel groups. Learn more about doing that here. Companies Properties in HubSpot contain important information about the contact's company, such as the company name and the website URL. You'll find these properties in individual Contact records and in the Companies Report. The number of customers divided by the number of contacts for the selected time period. This metric can be found in HubSpot. A contact is someone who has submitted their information in a form on your website. Contacts can be in different Lifecycle Stages such as lead, marketing qualfied lead, customer, and evangelist. 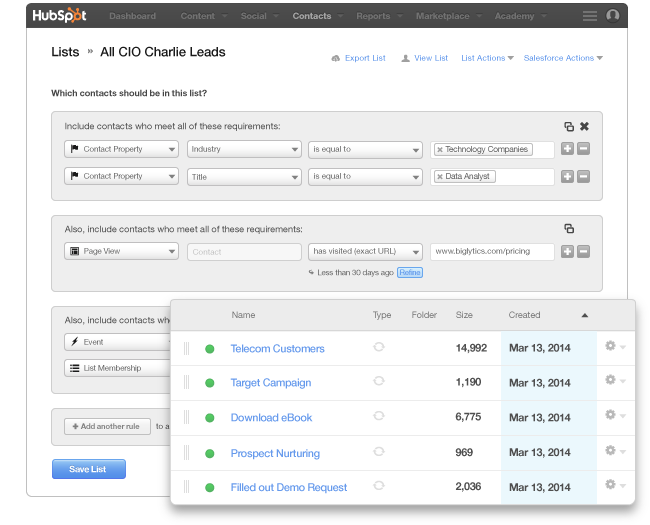 The term contacts can be found in HubSpot. Contacts Properties in HubSpot contain important information about the individual, such as the contact's name, email, and address. 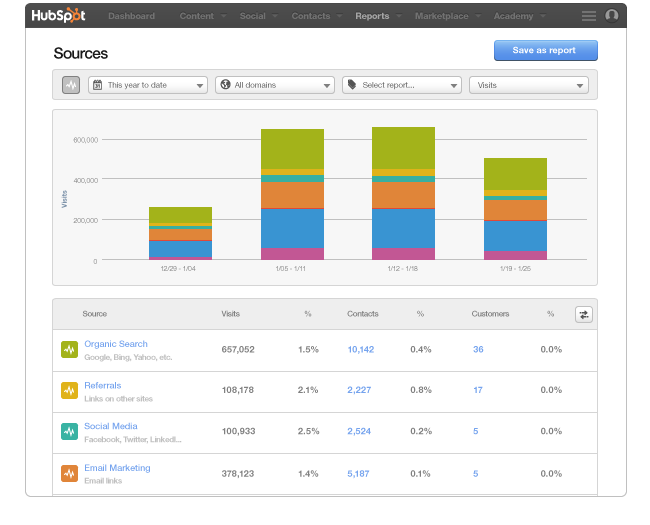 The ability to view and compare metrics that have been aggregated into a group. You can analyze the group's aggregated data, individual URLs, page titles, or screen names in Google Analytics. The number of people who converted on your website (typically filling out a form or another action you have predefined) divided by the number of people who visited your website. This option will let you define what a conversion is in the report you're running. For example, in HubSpot, you could select "Became a Lead Date" to figure out when your visitor turned into a lead. You could select "Became a Customer Date" to figure out when your lead turned into a customer. A cookie is a small piece of data that is stored in a user's browser. Cookies are used to track how many times a website is visited. A characteristic of your data that you can use in filters. In Google Analytics some default dimensions include browser, landing page, and campaign. When someone visits your site by directly typing in a URL. For example, if I open Chrome or Safari and type in "http://hubspot.com," that would count as direct traffic in HubSpot's analytics. How influential a page is to conversion, measured in Google Analytics. The higher the number, the better. The engagement rate shows how long a person is on your website. It takes into account time in addition to the number of pages viewed. For example, if only one page is viewed, that visitor receives an engagement rate of 0. This metric can be found in Google Analytics. Entrances is the number of times a session in Google Analytics begins. For example, let's say someone went to your homepage and a landing page before leaving your website. There would be one entrance counted on your homepage, and zero entrances counted on the landing page. That's because someone came to your website for the first time when they saw your homepage. Events allow you to measure a website visitor's activity on your website. 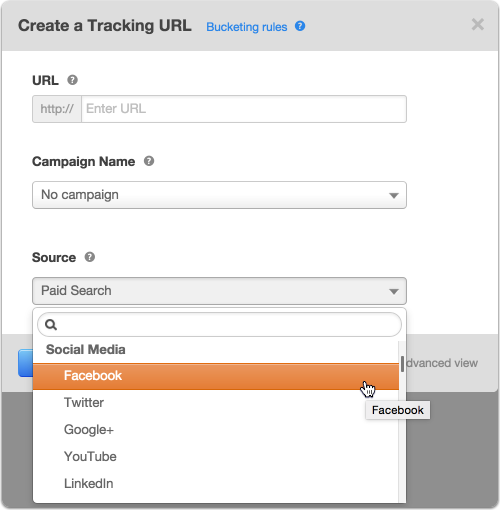 In HubSpot, Events can be created without any code using the Events bookmarklet to track a user's behavior on your website. To read more about HubSpot's Events, see this blog post. 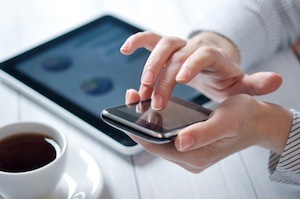 In Google Analytics, Events can be tracked on your website or mobile but requires more setup. 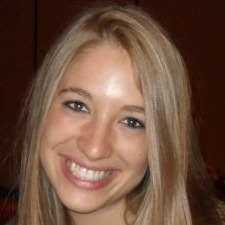 To read about how to set up Events using Google Analytics, see this post. A setting that allows you to alter the data that is displayed in your reports. If you have a report with page URLs and only want to see the URLs from your blog, you should type in blog.YOURCOMPANY.com to view only your blog posts. The process of only showing these posts is called filtering. This is an Attribution report model in Google Analytics that gives 100% credit to the first touchpoint before a conversion. This is an Attribution Report model in HubSpot that gives 100% of the credit to the first URL or source visited by a contact on your site. This is an Attribution Report model in HubSpot that gives 50% of the credit for the conversion to the first URL and 50% of the credit for the conversion to the last URL. This is an Attribution Report model in HubSpot that gives 50% of the credit for the conversion to the first referring URL or source and 50% of the credit for the conversion to the last referring URL or source. The steps someone takes from the first time they are a visitor on your website along the way to becoming a customer. A hit is a name for user interactions. Example of hits include pageviews, transactions, items, events, social interactions, or user timing. This term is used in Google Analytics. The interaction score is in HubSpot and tells the Attribution Report what data to look at as well as what Attribution model to use in the analysis. For example, the Attribution Report can be pulled by URL, referrer, or source. And then the different model can be chosen. This is an Attribution Report model in Google Analytics that gives 100% of the credit for the conversion to the last AdWords click. This is an Attribution Report model in HubSpot that gives 100% of the credit to the URL someone converted on. This is an Attribution report model in Google Analytics that gives 100% of the credit for the conversion to the last channel a customer clicked through before converting. All direct traffic is ignored in this model. This is an Attribution Report model in HubSpot that gives 100% of the credit for the conversion to the last channel or URL someone went to in the session before they converted. A property that shows where contacts are in your marketing funnel. In HubSpot these lifecycle stages include Subscriber, Lead, Marketing Qualified Lead, Sales Qualified Lead, Opportunity, Customer, Evangelist, and Other. This is an Attribution report model in Google Analytics that gives each touchpoint in the conversion path equal credit for the conversion. In HubSpot, this is called all interactions. The ability to group contacts based on similarities. For example, you can group people based on similar contact or companies properties, form submissions, email actions, pages views, and more. 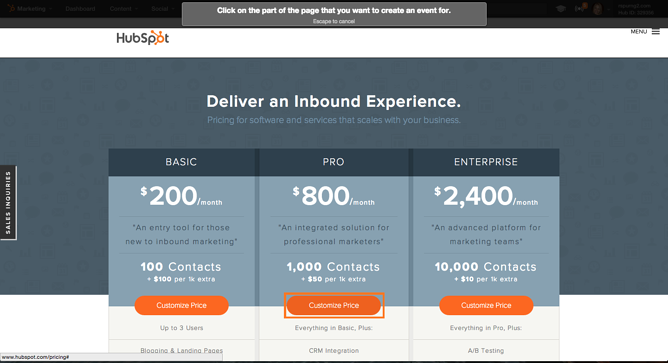 For more details on how to do this in HubSpot, see this blog post. When a visitor originates from a search engine. This includes, but is not limited to, Google, Bing, and Yahoo. When a page is loaded or reloaded in Google Analytics. When a visitor originates from a paid search advertisement. This is an Attribution model in Google Analytics that gives 40% of the credit to the first and last interaction and 20% of the credit distributed evenly to the middle interactions. When a visitor comes to your site from other websites. A revenue report attributes company revenue to different marketing activities. 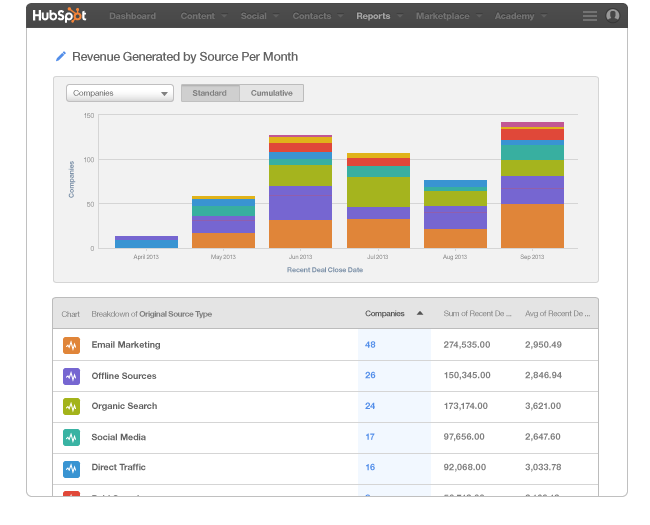 For example, using HubSpot, you can run a Revenue Report based on how much revenue your email marketing or social media efforts have generated. See visits. Sessions is the term Google Analytics uses. In HubSpot Attribution Models, each URL or source is given a score based on its value. A high score means that the URL or source drives more conversions whereas a low score means that the URL or source is not driving a lot of conversions. The score is calculated based on the Attribution model you select. For more information on scores, see this article. 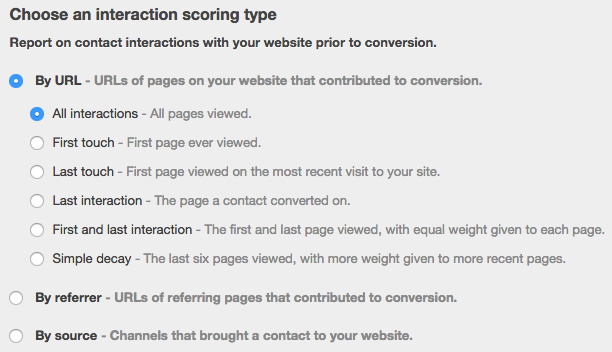 This is an Attribution Report model in HubSpot that gives the six most recent interactions credit for the conversion. For example, if you visited seven pages before converting to a lead, it would give credit to the final six pages you visited. Page seven would get 50% more credit than page six. Page six would get 50% more credit than page five. And so on. The marketing channels that you use. HubSpot provides a Sources Report that gives details into the visits, contacts, and customers generated as a result of different marketing channels. This is an Attribution Model in Google Analytics that gives the touchpoints that were closest in time to the conversion to get more credit. In HubSpot, the most similar model is Simple Decay, but this doesn't take time into consideration. The time someone goes to the next page minus the time a visitor originally came to the page. This metric is calculated in Google Analytics. The average amount of time a visitor spends on your site within a certain time period. Many marketers use this metric to get an idea of the effectiveness of their website. The longer someone spends on your website, the more effective your website probably is. This metric is calculated in Google Analytics. Touchpoints are the different interactions someone has with your company. Touchpoints include, but are not limited to, the different pages on your website viewed along a visitor's journey. A regular URL with a token (usually called a UTM parameter) attached to the end of it that helps keep track of where the view originated. For example, the tracking URL http://blog.hubspot.com/marketing/30-day-blog-challenge-tip-27-sr?utm_campaign=%23blogfor30&utm_medium=social&utm_source=linkedin means that it is part of the Blog for 30 Campaign, and the view came from Social Media and more specifically LinkedIn. A brand new visitor coming to your website for the first time. The number of new contacts divided by the number of visits for the selected time period. This metric can be found in HubSpot. The number of customers divided by the number of visits for the selected time period. This metric can be found in HubSpot. A Google Analytics app that allows you to see the path people take when on your website. The people that visit your website or mobile app. This is the term that HubSpot uses. In Google Analytics, it is called sessions. Any time a visitor reaches your site from an outside domain. A visit will end in HubSpot when someone leaves your domain by visiting an external site or closing his or her browser. A visit will end in Google Analytics after a user is inactive for 30 minutes or more. What other terms would you add to this glossary? Who Owns Your Analytics Data? You, Your Visitors or Google?